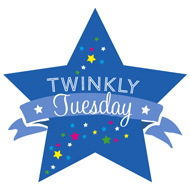 Twins on Being in the Same Classroom | How Do You Do It? We’re a few weeks into 2nd grade. My daughters, M and J, are in the same classroom this year. They were together throughout their daycare careers, apart for the beginning of kindergarten, together for the second half of that year, and in co-taught but separate classrooms in 1st grade. I thought it was time to get their perspective on being in the same class at school. Me: Remember the other day, we were talking about how you felt about being in Mrs. H’s class together this year? Me: J, do you remember that? Me: One of things I mentioned is that for some twins, being together in class is a want, for others being apart is a need, and for some being together is a need. What is it for you? J: It’s a need for me to be with M because I get really scared if I don’t know what M is doing and I cried on the first 3 days of school in first grade. Write that. Me: Oh, honey! What about for you, M? M: For me, it’s a want, but … It’s a want for me, but a need for J. And I don’t like J crying, so… and it’s a need for me for her to not cry so much, so it’s a half want, half need. Me: So, J, what’s easier now that you’re in the same class? M: It’s good to know what prizes you’ll get so we can make sure none of the prizes are too dangerous and tell whoever’s the sister not to get that certain prize. J: Making sure that the other sister is behaving in person and if they do they can report to Mom. M: Making sure that someone doesn’t bully the sister, so we can report to our teacher. Me: But don’t you do those things for your friends already? Me: Back to what we were talking about. So, J, has the crying stopped now that you’re in the same class? J: I only cry now if I’m in pain or if my feelings get hurt. M: And then M comes to the rescue! Me: But isn’t it distracting to be worrying about your sister when you’re supposed to be learning? M: Well, first I get permission to get out of my seat to help her or go to the nurse’s office with her. Me: What about for D and R (the other set of identical girls, who are together in the other dual language classroom), do you think it’s a need for them? J: I don’t know. I’m not them. M: I think D and R fight less when they are in the same class. 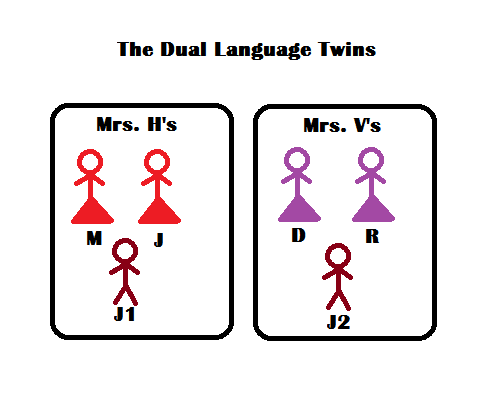 Me: And what about J1 and J2 (the identical boys split between the 2 dual language 2nd grade classrooms)? M: Well, for J1 and J2, they don’t need to be in the same class and they don’t want to be in the same class. I think that being with their brother is a distraction because they love playing with their brother and like to be good students and they don’t want to get in trouble so they like being in different classes. J: But J1 is still one of the jokesters of the class. M: Yes, but when Mrs. H gives him permission to be a jokester and cheer someone up. 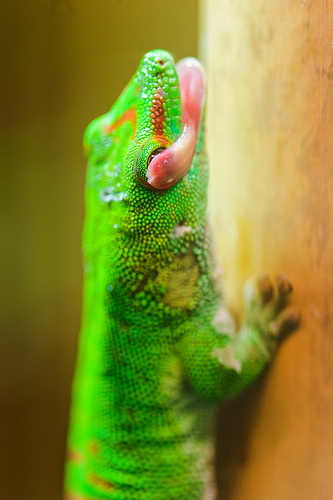 J: ♫ Gecko, gecko gecko gecko, gecko gecko gecko… ♫ Geckos lick their eyeballs to blink because they don’t have any eyelids. Isn’t that a fascinating fact? M: Actually, it’s more disgusting. J: Uh uh. It’s fascinating. Me: So do you think schools should have a rule about whether twins can or should be together? M: No, because for some twins it’s a need and some it’s a want and for some it’s not a need and for some it’s not a want. 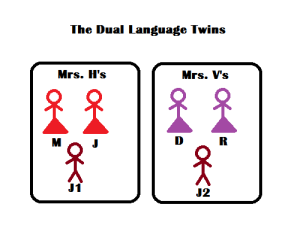 In case you find it relevant, all three sets of twins were evenly split between the two first grade dual language classrooms last year. Both sets of girls specifically asked their parents if they could be placed together this year. Are your kids together or apart at school? What’s their preference? I love their perspective and their expertise. They should write a parenting book. I suspect J would insist that she be allowed to interject fascinating, not-at-all-disgusting facts into the content. Fascinating split of twins in the second grade at your girls’ school and cute conversation with your girls! Very interesting perspective! There are three sets of identical twins (including my own) in Kindergarten at my girls’ school. All three sets of parents chose to keep their kids together in the same classroom. It will be interesting to see if this continues through elementary school. Pingback: Sick Kid Stays Home - How Do You Do It? Pingback: The Twin Dynamic (Spoiler: There Isn't Just One) - How Do You Do It?